Marketplaces and prices shown matched UPC number 673419283465 during our search. 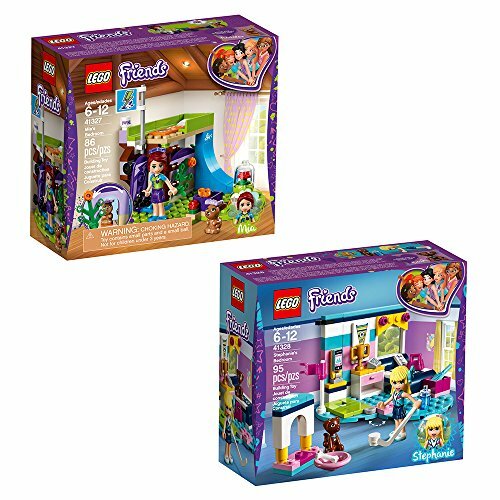 LEGO Friends 41342 Emma's Deluxe Bedroom is set on a purple heart-shaped baseplate and perfectly reflects her creative spirit. She has a beautiful four-poster bed, drawing board with paints, pottery stand, a special stand for her cat to pose on for photographs, and an old-style telephone to call her friends on. Includes a mini-doll figure and a cat figure. 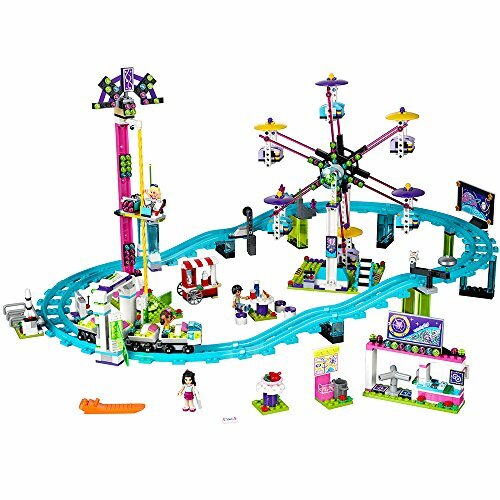 The LEGO Friends 41342 Emma's Deluxe Bedroom includes 183 pieces. Ages 6-12. LEGO Friends Emma's deluxe bedroom is set on a purple heart-shaped baseplate and perfectly reflects her creative spirit. She has a beautiful four-poster bed, drawing board with paints, pottery stand, a special stand for her cat to pose on for photographs, and an old-style telephone to call her friends on. Includes a mini-doll figure and a cat figure. Get creative in LEGO(r) Friends 41342 Emma&apos;s Deluxe Bedroom. 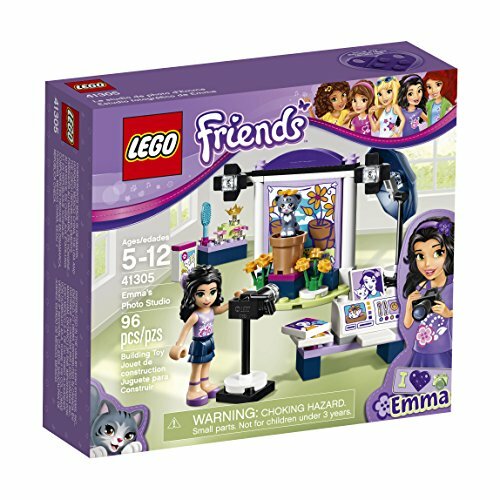 Help her create a masterpiece using the paints at her drawing board, or turn the pottery wheel to sculpt something amazing with this cute LEGO(r) Friends set. Sit Chico the cat on his stand--the perfect place to pose as Emma photographs him, and then collect a delicious treat as a reward. Call Emma&apos;s friends on her cool old-fashioned phone and lie her down on the four-poster bed for a good night&apos;s sleep to dream up her inspiration for tomorrow&apos;s creations.